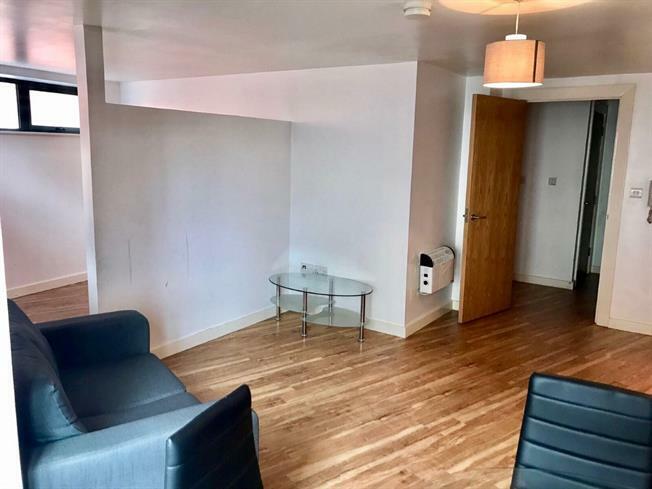 1 Bedroom Flat For Sale in Greater Manchester for Offers Over £150,000. The Works is a purpose built development of apartment on Withy Grove in Manchester city centre. Your neighbours are The Printworks with all is entertainment facilities including an IMAX cinema and a multitude of eateries. Located on the 6th floor and this really is huge for a one bed apartment. Consisting of a hallway with storage, a vast living area with an integrated multi appliance fitted kitchen and a Juliet balcony plus a part partition area to this dual aspect room. One double size bedrooms and a fitted bathroom. Laminate flooring, painted plaster ceiling, ceiling light. Double double glazed door, opening onto a balcony. Juliette window. Electric heater, laminate flooring, painted plaster ceiling, ceiling light. Roll edge work surface, fitted and wall and base units, double sink, circular sink and with mixer tap, integrated, electric oven, integrated, electric hob, stainless steel extractor, integrated space for washing machine, fridge/freezer. Tiled flooring, tiled walls, spotlights. Low level WC, roll top bath with mixer tap, shower over bath, wall-mounted sink with mixer tap, extractor fan and shaving point.